I thought I’d share a post about our Cruise America RV road trip experience in case anyone out there is curious about how that all went or is seeking more information on a similar adventure. Note: this is not a sponsored post and we aren’t affiliated with Cruise America. Why did we choose Cruise America? 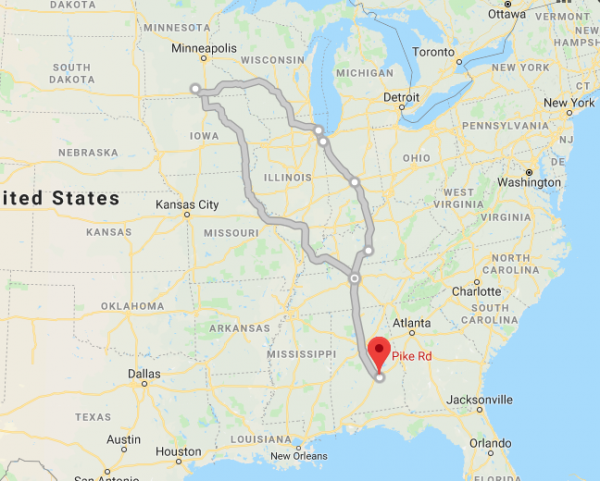 Simply because it’s what came up with I searched for “RV rental places in Alabama” on Google and after I did a bit more research, they really did have the best price and I loved that they offered 24-hour roadside assistance too. I tried to rent one from the closest location to us (which is actually about 2.5 hours away, in north Alabama) but they were all booked up, so we ended up renting one from a Cruise America location in Nashville. Why did we choose the Standard model? Simply because they didn’t have any Compact models available. 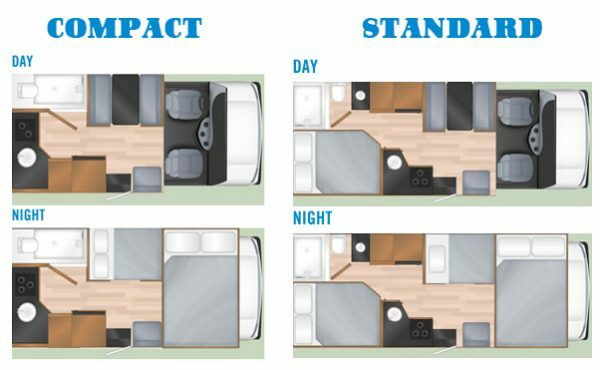 We would have chosen the Compact if they had had one, but in the end, it was a good thing we were forced to go with the larger model because we ended up needing the full-size bed at the rear of the RV. The queen-sized loft bed didn’t end up working out for us, not because it wasn’t comfortable, but because there was a leak up there somewhere. It was a bummer because that’s where Steevenson had hoped to sleep whenever we spent the night at an RV park. We noticed it the morning after the first night of our trip. We parked at a KOA in Nashville, not far from the RV rental location and just down the road from Opryland. It rained very hard that night, and Steevenson woke up on top of a cold, damp mattress and with cold, damp blankets on top of him. It rained several more times during our trip and each time we noticed the mattresses up in the loft area were cold and damp, confirming our suspicions about the leaky ceiling vent. It wasn’t the end of the world, but it could’ve been a problem if we had needed to use that space to sleep in. I guess we could’ve called the 1-800 number or tried to seal the vent temporarily, but it wasn’t a big enough deal, so we just carried on and didn’t worry about it. How much did it cost? About $100/night + gas. How did I figure that out? Well, we paid $1700 up front and after we got our $500 security deposit back at the end of the trip, we were charged $1200, and since we traveled 12 days, that breaks down to $100/day. We traveled about 1800 miles total and spent about $500 on gas. The standard model has a 55-gallon tank and I’m not sure what it would cost to fill it from empty to full because we never let it get under 1/4 of a tank and we never filled it above 3/4 of a tank. Kevin said he spent between $60-$80 every time he stopped for gas and I think we stopped for gas seven times total. Next up, I thought I’d share my pros & cons, and some tips that will hopefully be helpful if you’re considering taking a trip in an RV. It was nice having a kitchen and our own food with us throughout the trip. Whether it was for a quick snack, or being able to keep leftovers from Cracker Barrel, or having access to breakfast the *second* I woke up (anybody else have to eat IMMEDIATELY after they wake up? )- it was really nice to feel like we were all set and saving money. 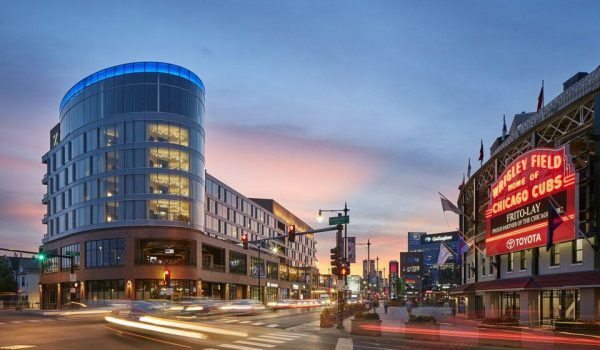 It’s nice to not *have* to get a hotel room. Waking up in a picturesque campground and not having to lug all your stuff from the RV into a hotel (and back) was really great. There were SO many compartments for our things. There was literally a place for everything and it made it very easy for everything to conveniently live in its own place. There was even a HUGE, lockable compartment inside the back end of the RV, and we kept a few large, plastic bins and our (empty) suitcases in there. This isn’t really a “con”, but I did want to mention that it was extremely windy one day while we were driving through Iowa and Kevin had to drive between 50 and 55 mph in order to keep the RV in our lane. It extended our travel time by a couple of hours, and it was something we hadn’t anticipated, and so I thought I’d include that info here too. It wasn’t always easy to find convenient parking. A lot of hotels in the Chicago area couldn’t accommodate us because the RV was 13 feet tall. Yes, we could’ve paid to park it in a lot within a block or two of each hotel I called, but that just felt like a hassle, so we pressed on to Indiana instead. 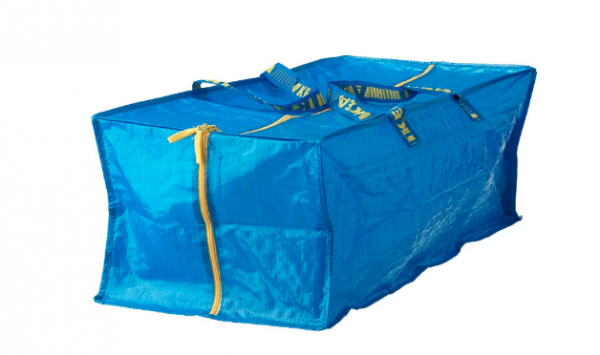 We used one of these IKEA bags to keep our dirty laundry in. It came in very handy and we just kept it at one end of the loft bed area since it was waterproof and didn’t matter that it occasionally got damp up there. They hold a TON and it made it really easy for everyone to know where dirty clothes go. It was also nice to be able to “grab it and go” when we had access to a washer and dryer at my aunt and uncle’s house. Use Roadtrippers.com! It was an invaluable resource for us before and during the trip! I will share photos and stories about all the places we stopped in a future post, but I wanted to make sure to mention Roadtrippers here as well. There wasn’t a trash can in the RV but obviously we needed a place to put it. Since we didn’t use the shower area, we just looped plastic grocery bags over the “hot” and “cold” handles in there and put our trash in the bags until they were full. We took them out of the RV to dispose of them and hung up new bags every time a full one went out. Bring extra rolls of RV-friendly toilet paper. We were only given one roll and the gal we rented our RV from was clear that we couldn’t flush regular toilet paper. At the end of our trip, we paid about $20 to empty our sewage tank and $20 to empty our water tank at a Yogi Bear campground near the Cruise America location we rented from. Bring gloves and hand sanitizer. It’s a dirty job and if you pull on the sewage hose too hard while you’re emptying it, it can disconnect from the RV, leaving sewage to spill out everywhere. Luckily, that didn’t happen to us until our tank was completely empty. Boy, that would’ve been gross! Another tip: we had an extra bottle of water in the RV when we emptied our tank, so we stretched out the disconnected the hose vertically and poured the water down it to really flush it out before we put it back into the compartment on the side of the RV. It took us about 2 hours to thoroughly clean out the RV, empty the tanks, and get gas before we brought it back to the rental place. Make sure to account for that amount of time and bring paper towels and some kind of spray cleaner. The RV was equipped with a small broom, but we needed to use the paper towels and spray cleaner to clean the counters, bathroom and to “mop” the floor. I just sprayed it down and slid around with paper towels under my shoes. So, in a nutshell, aside from the noise while driving, damp loft area (and not *loving* our phone or in-person experiences with the particular gal & location we rented our RV from) we thoroughly enjoyed traveling in an RV and we would definitely rent from a (different) Cruise America location in the future. (I’m thinking next Spring!) We’ll forever treasure the memories we made as a family over those 12 days. Kevin and I sat in the seats in front and talked as we took in all the Fall colors along the way, Steevenson got to see things he’s only ever heard or read about or seen on TV, and the three of us connected in a way that felt like we were really hinging together in a way that you can only experience if you “get lost” with each other for a while. It was so special! It seems like every person we talk to says they either want to take an RV road trip or they have taken an RV road trip and it was one of the best vacations of their life. And whether you have kids or not, I highly recommend it and hope this post has helped with questions you might have about doing it. If there’s anything else you’d like to know about, please don’t hesitate to comment below. 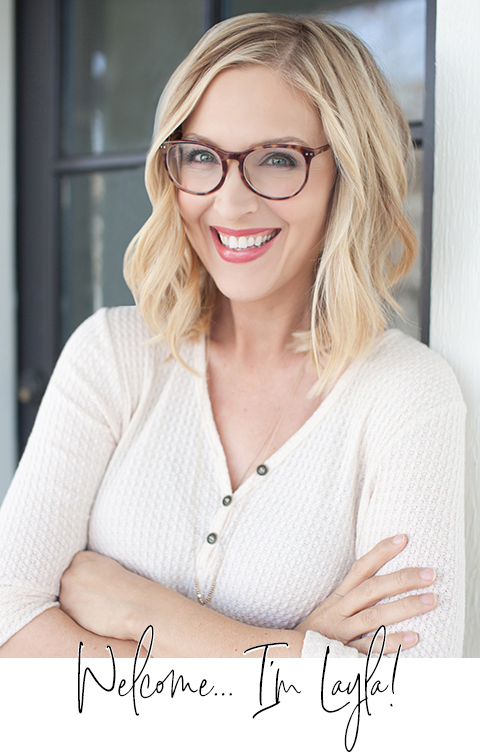 I’m happy to share additional information and answers there too! What did you do with your car when you got to Nashville? They let us park it on their lot. Layla, did you ever drive the RV? Did Kevin think it was hard to drive. Something that big is intimidating to me. Thanks for the summary! We saw a lot of these when we traveled out west and I was wondering about the pricing, the pros and cons … pretty much everything that you touched on! So, if you didn’t want to dump the tanks yourself and clean the RV, was there an option to pay them to do that? If not, someone needs to start that as a service! Hey Lisa! Dumping the tanks ourselves was the only option they gave us, so I’m not sure if you could pay someone to do it or not. ? Thanks for the review! I hope you received a partial refund for the RV not being up to standard? Sure thing, Linda! And, no, we didn’t receive a refund. Honestly, we wanted to spend as little time as possible talking with the gal that rented it to us, so we didn’t even mention it when we dropped it back off. Love the IKEA laundry bag tip! Did you check into renting thru Outdoorsy.com? That’s how we rented ours and we thought it was a great way to go. It was almost new, super clean, no leaks! Thanks for the comments on renting an RV. I have mentioned doing that with my husband, but he’s not crazy about the idea. (He doesn’t even like to rent a car!) Our daughter and her husband own a 5th wheel RV, and I think it would be fun to meet them at places and spend some time together. We did meet them in Nashville this summer, and stayed in a cabin at the campground. That was pretty cool too, almost like being in an RV, except we had to unload the car of stuff when we arrived! We stayed at a Jellystone just down the road from the Grand Old Oprey. A bathroom hint for next time: put toilet paper in the trash, not the toilet then you can use whatever kind you want. And don’t use the toilet for solid waste unless you really have to. Iowa can be very windy! Great in the summer-frigid in the colder months. I would love an RV trip. Glad you had a familia-tastic time! My brother had an Air Stream. By accident, the sewage line disconnected while in a parking lot in front of my husband’ s business. What a disaster! So glad you didn’t encounter any problems with the terminal cleaning. 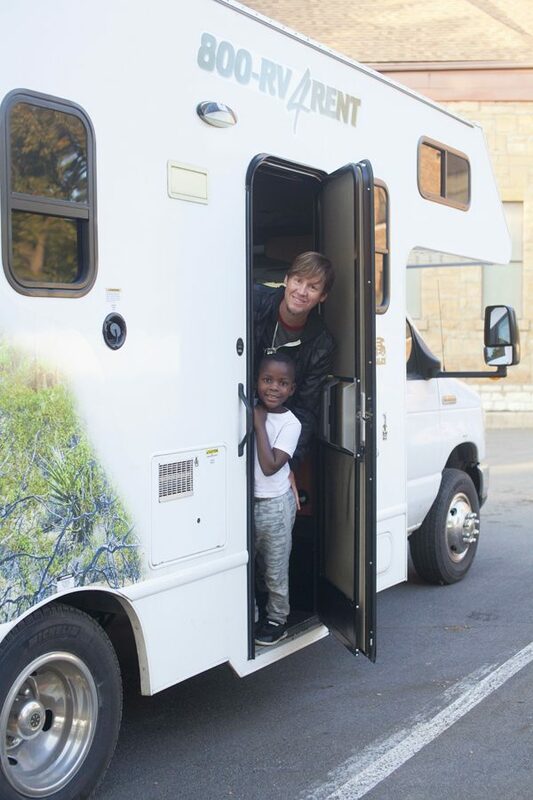 Your trip sounds like a great family adventure. glad you were able to take that trip. My husband and I were full time RVer’s for over 2 years (had to get off the road when my brother unexpectantly died and we had to care for my mother). Anyway, we had a 40 ft. 5th wheel that we LOVED!!!! Next time you decide to go RVing try state parks instead of KOA’s and other commercial parks. They are MUCH cheaper than commercial parks and there is always so much to do. Also, at state parks you don’t have to pay to dump your sewer and there is always water there to wash out your sewer hose. (Yes, bring gloves as it is messy). I would say that the unit you rented was faulty – not only in the leak but also the noise. It should not have been that noisy. (I hope the next person who rents that unit doesn’t report the leak and the company come back to you for “repair” since you didn’t mention it. Sometimes rental places do that – like when you rent a truck from U-Haul. Fingers crossed.) Anyway, I’m glad that you enjoyed yourself and are planning on trying it again.